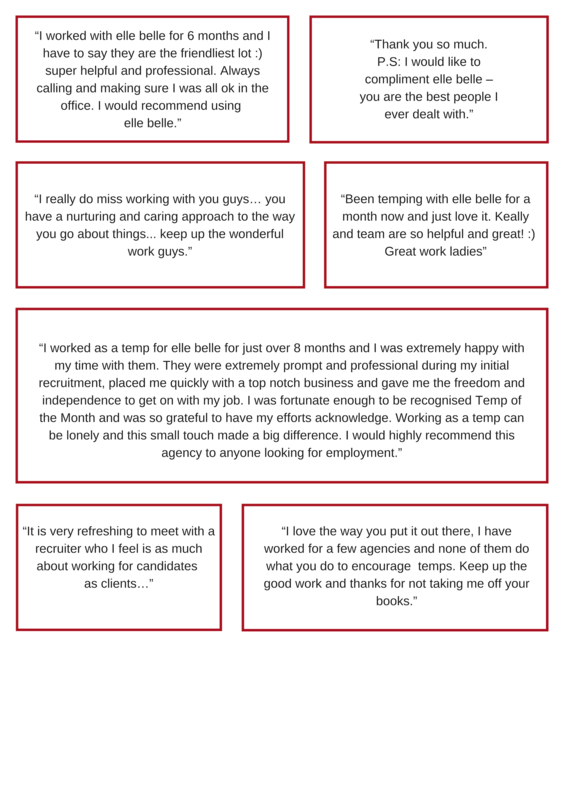 elle belle recruitment are committed to providing an exceptional service to our clients. We do this by recruiting talented and committed candidates. Check out some of the great things our candidates have to say about us!